Darrius Jerome Gourdine is a 1992 graduate of Howard University and co-owner of the Washington, D.C. based graphic design firm, Artisan Blue. Darrius began a career in writing with the inception of an online soap opera based on Black college life called As the Sands Burn. The soap opera debuted in 1997 and in 2000 was bought by BET for their website www.bet.com. As the Sands Burn and its spinoff, Beyond the Burning Sands amassed thousands of fans in its 8 year run on the internet. Darrius is a published author serving as ghost writer of the book From the Hood to the Hill: The Next Generation, and lead writer of the Gospel situation comedy, “So How Ya Livin’ Now”. Darrius was approached by ChristianHangSuite.com to create and write “The Saved and The Restless”, an online Christian based soap opera which ran on the internet for 2 seasons encompassing 2 years. His first novel, Jewels: The Story of the Founding of Alpha Phi Alpha Fraternity has sold more than 4,000 copies and can be found in bookstores and college campuses across the country. Darrius has done book signings and speaking engagements in Washington, DC, Silver Spring MD, Chattanooga TN, Savannah GA, Columbus OH, Houston TX, Mobile AL, Philadelphia PA, and Orlando FL. 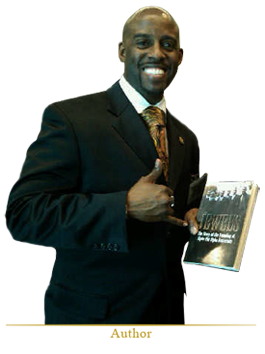 His current literary work, Jewels: The Story of the Expansion of Alpha Phi Alpha Fraternity has a June 21, 2011 release date with much anticipation from brothers and interested individuals alike.